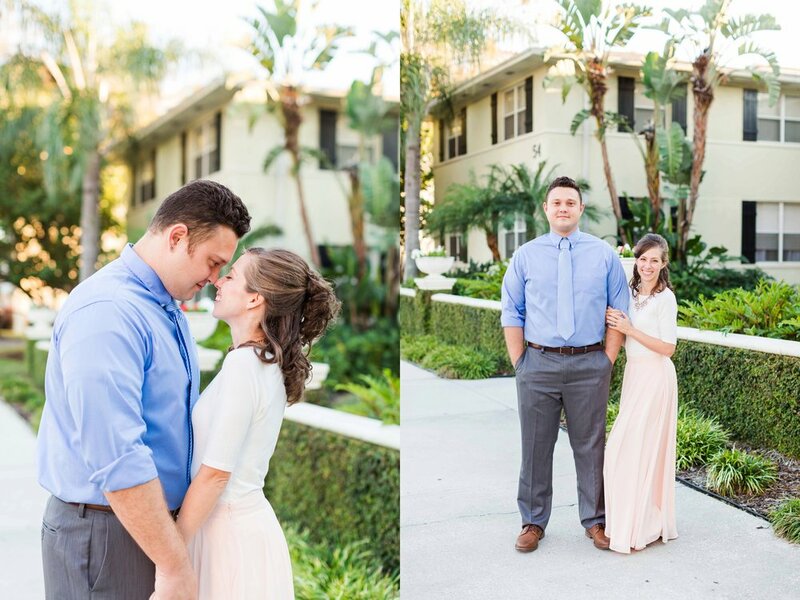 Emma and Dom got married last weekend at La Belle Amour Tampa! It was such a beautiful day as friends and family came to celebrate with them. I had been looking forward to this day since I met them. They are so kind, easy going, and totally in love which makes my job so easy! Some of my favorite moments from their wedding day were their intimate first look, tear-filled vows, and all the amazing details including one of the most beautiful cakes I've ever seen. Jennifer and Jon's intimate wedding day at Cross Creek Ranch was so gorgeous. Surrounded by their closest family and friends they were married outdoors under the most beautiful floral arch and celebrated the night away at the French Country Inn. A few of my favorite moments from their wedding was Jen and Jon's first touch & their first dance where Jon couldn't keep his eyes off her the entire time. Every detail was perfect & their bridal party was just the sweetest. It is obvious how deep their love is for each other! 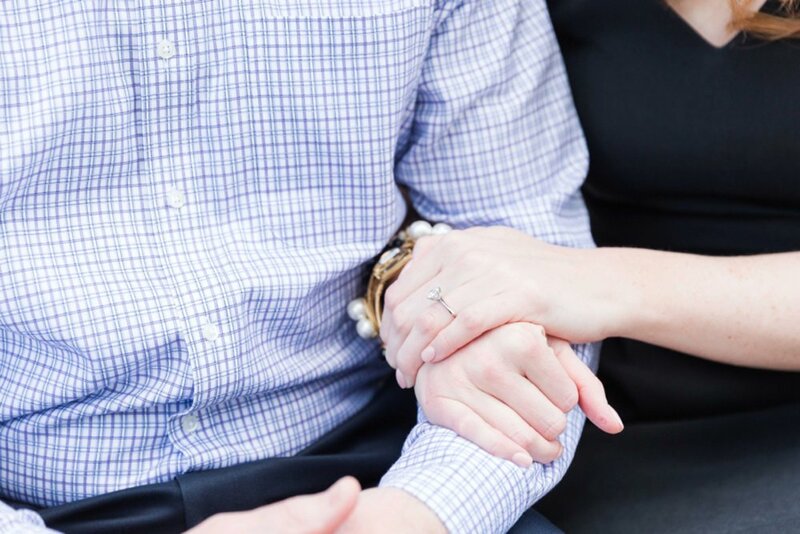 Jennifer and Jon's story of how they met, fell in love, and are getting married is truly so sweet. Jennifer is in the Navy and Jon is in the Marine Corps, and as fate would have it while Jon was stationed in San Diego, Jennifer's ship had just moved into San Diego. They connected through Tinder & completely hit it off on the first date. By the second month of dating they were already so in love and knew they were meant to be with each other. 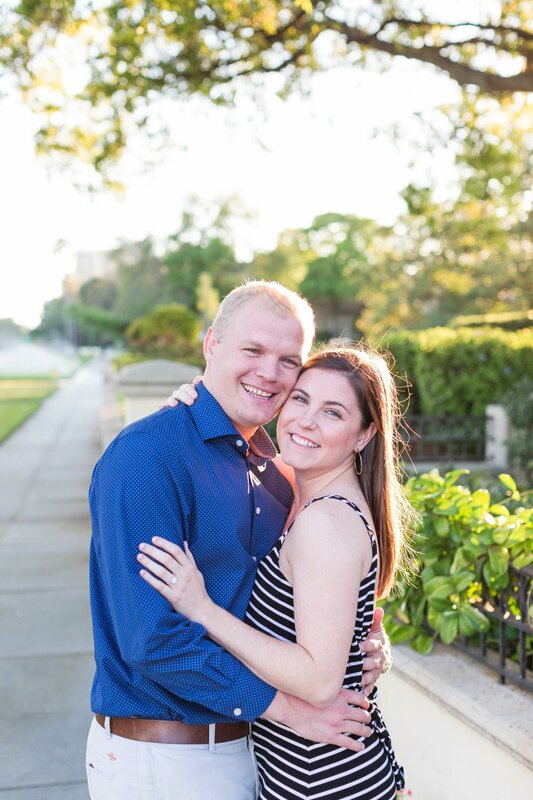 Jon proposed in June which included wine tasting, helicopter ride over San Diego, and a beautiful dinner cruise. I mean come on!! 2017 was seriously an incredible year. We were honored to serve some amazing couples on their wedding days & lots of seniors and families. 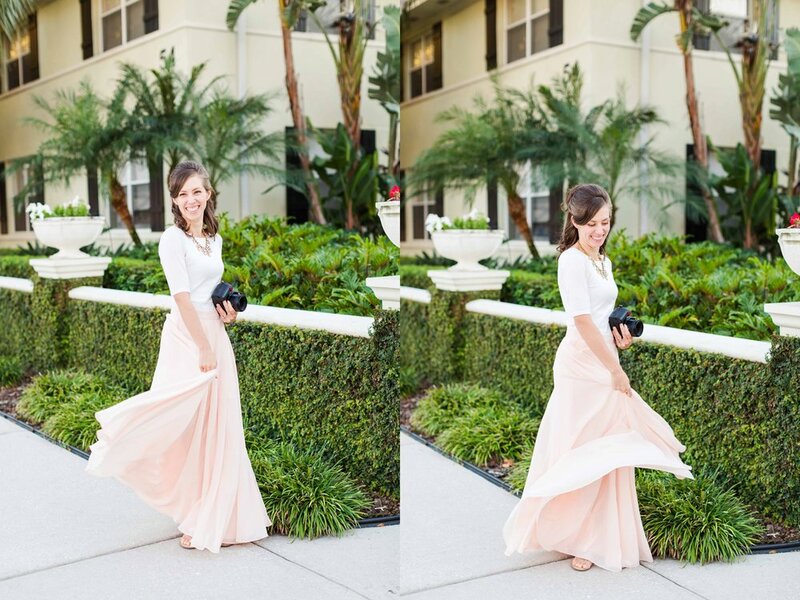 This post is mainly just wedding outtakes and engagement behind the scenes! 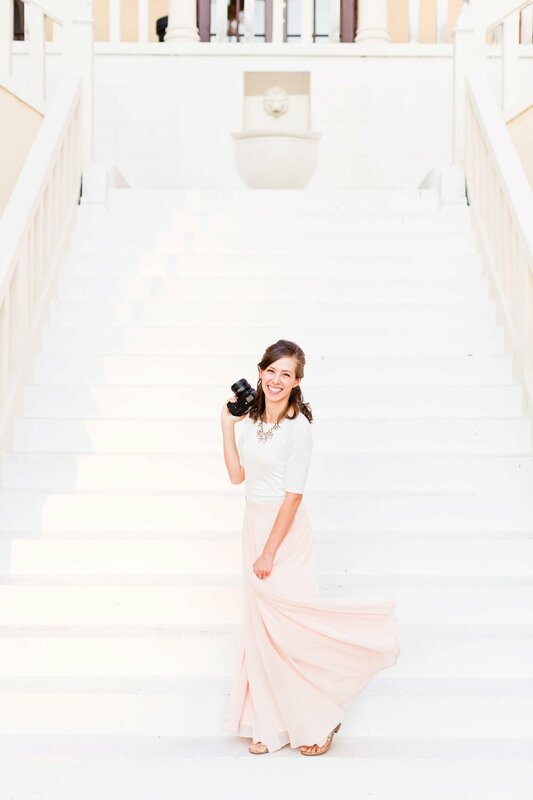 My sweet friend Jessie came to a couple weddings to video & third shoot with us. 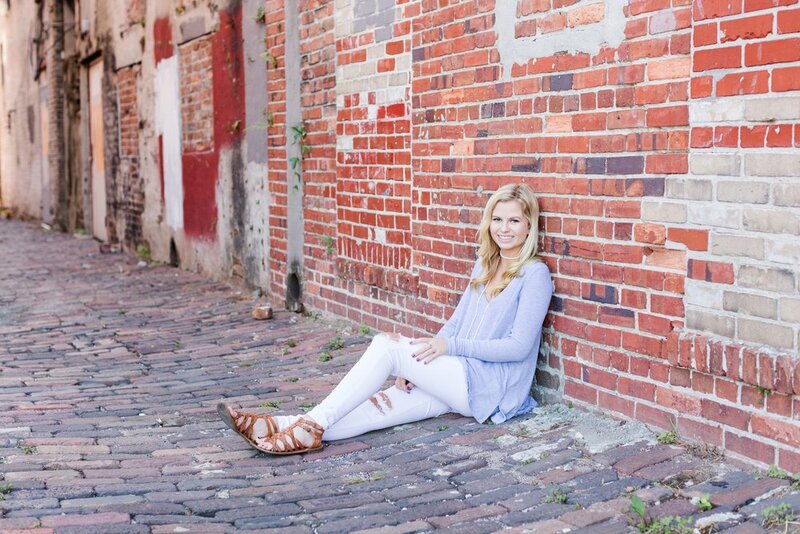 We love you, Jessie, & are so thankful for you. You can check out her work here. So without further adieu here are the behind the scene outtakes from this year. Some are pretty hilarious. Hope you enjoy these! And thank you for each client that made this year a dream & so much fun!! We are so grateful for you. 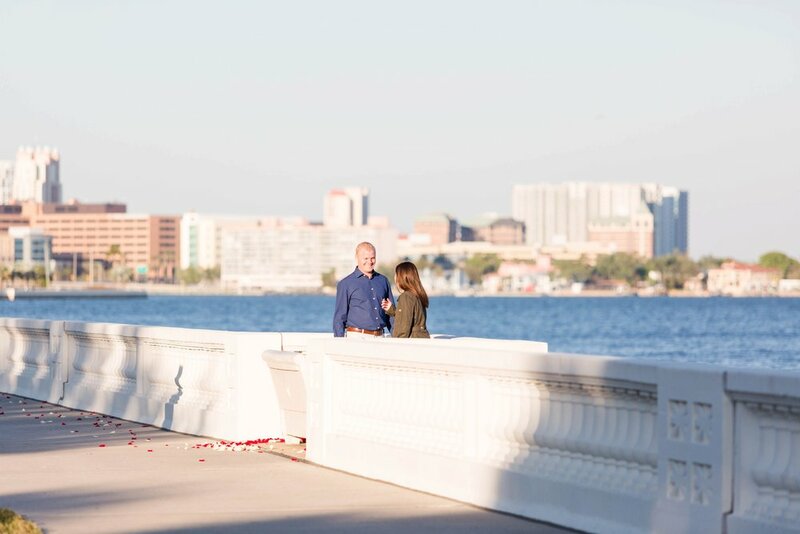 I had been looking forward to Robin and Kyle's engagement session for quite some time! Chase and I met Robin and Kyle through a mutual friend at a party one night. I remember talking with her about when Kyle might pop the question, then squealing a few months later when he did. Y'all he proposed in the sweetest way!! He wrote on Nelly's collar (their sweet puppy) and asked , "Can dad stay forever?!" I mean come on!! I thought this post would be totally appropriate as the Tampa Bay Lighting Hockey season kicks off tonight to share a senior session of one of their biggest fans!! I have known Ashley since she was in 9th grade, and it has been the biggest blessing to watch her grow in my small group for the last few years. She is truly radiant, inside and out, and has a heart that is pure gold! She and her family love the Lighting so much, and I thought it was seriously so perfect that they incorporated it into her senior session!! 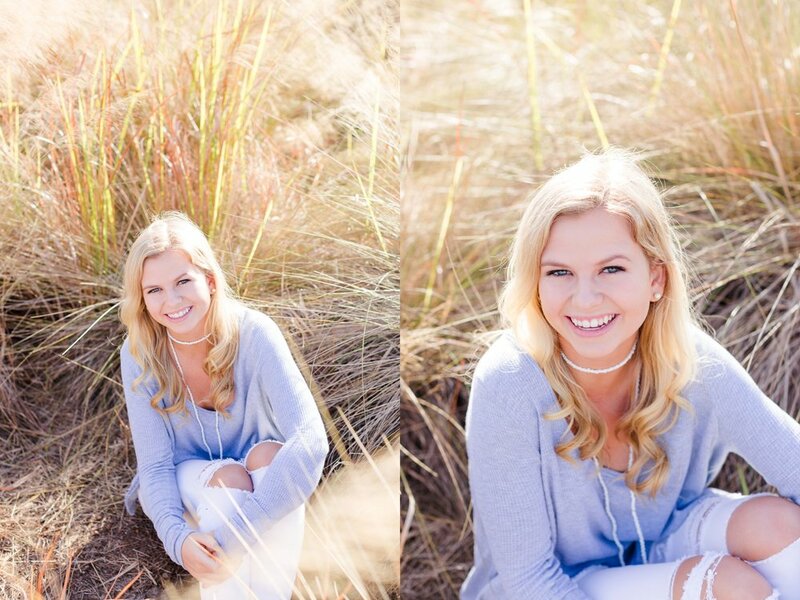 Hope is seriously so gorgeous, inside and out and I loved getting to know her during her senior session. Hope graduated this year from the Academy of Holy Names in Tampa and is attending the University of Alabama in the fall. 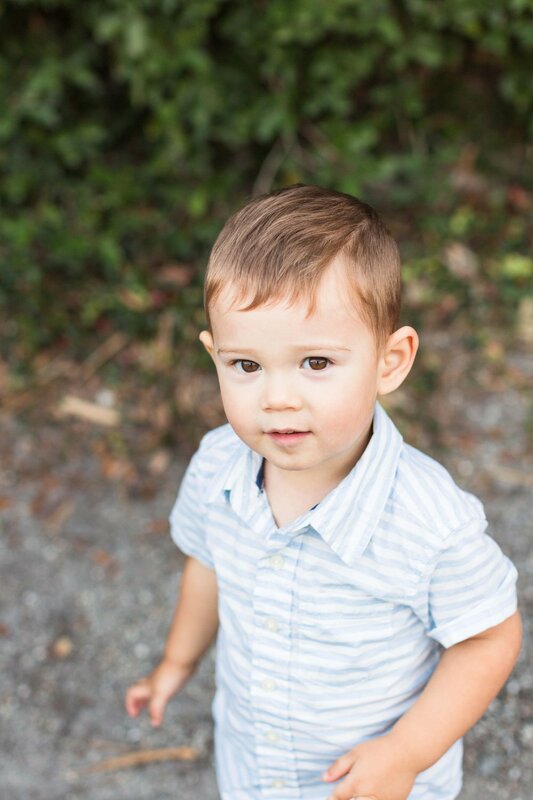 We met up at Cypress Point Park for the shoot and had the best time walking around!! She was up for anything which I love because it always makes the best portraits. EX: her in this tree (all the heart eyeessssss) and venturing out into a field with me :) Here are some of my favs below. What a dream this day was! Kaitlin and Paul exchanged vows under a canopy of trees overlooking a private lake with their closest friends and family surrounding them. Everything got a little more dreamy once the sunset and the twinkly lights lit up the entire reception!! 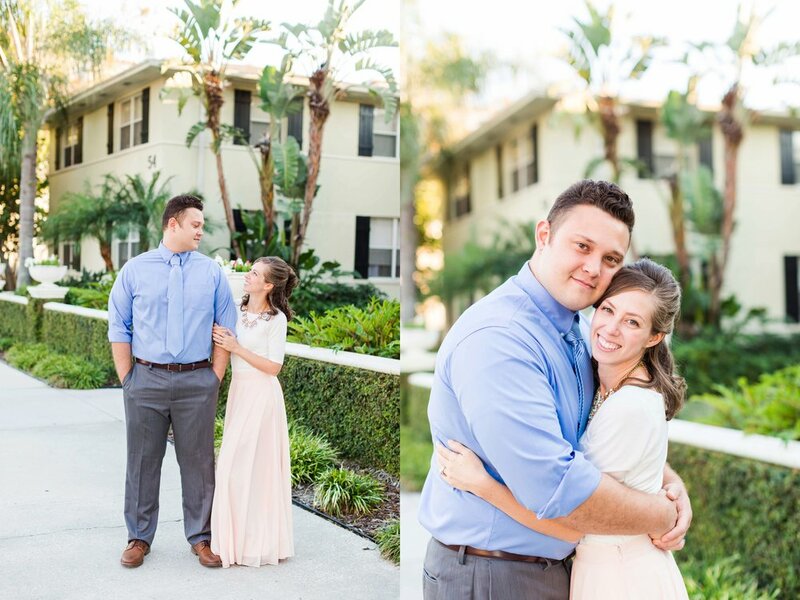 These two high school sweethearts are just the cutest. They have been together for 7 years, and it is so clear how easy and comfortable their relationship is. Strong & beautiful that has been built over time. Savanna and Charles decided to bring their two adorable golden retrievers with them to the session (Nova & Stella), and it couldn't have been more perfect. The weather was crazy that day, but I loved being able to pull out my clear umbrella and incorporate that into their session. 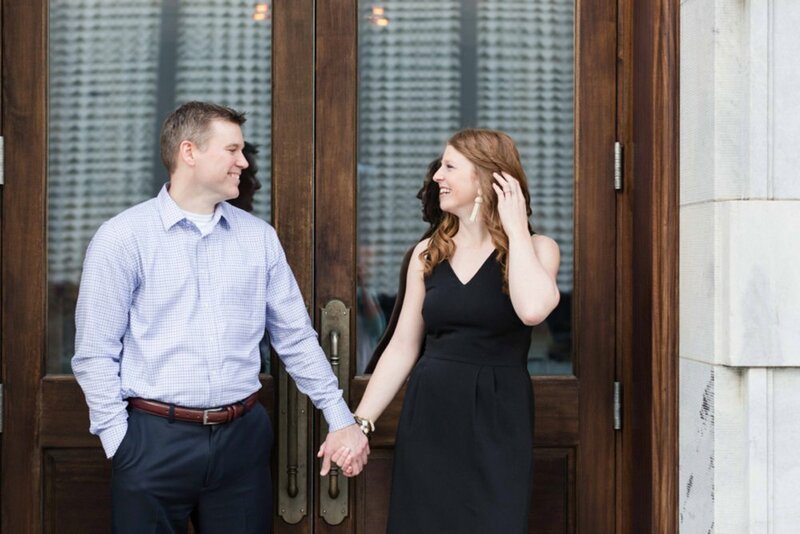 Here are a few of my faves from their engagement session. 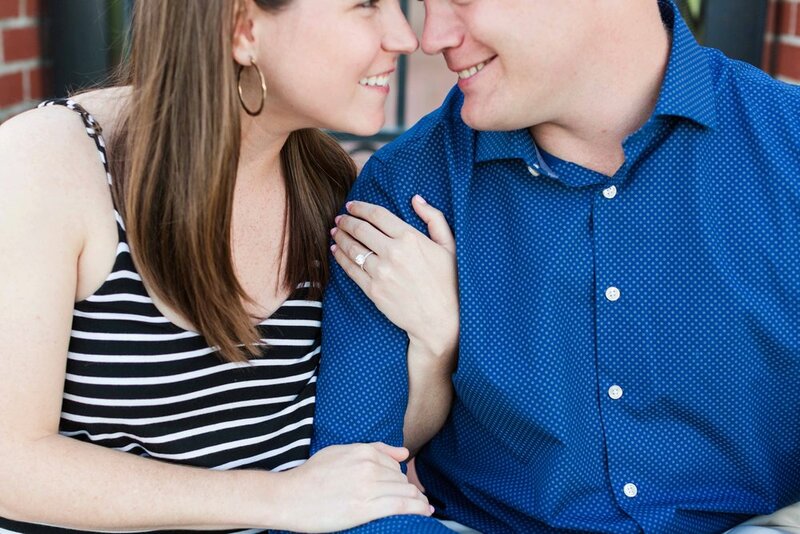 We could not be more excited for your upcoming wedding! 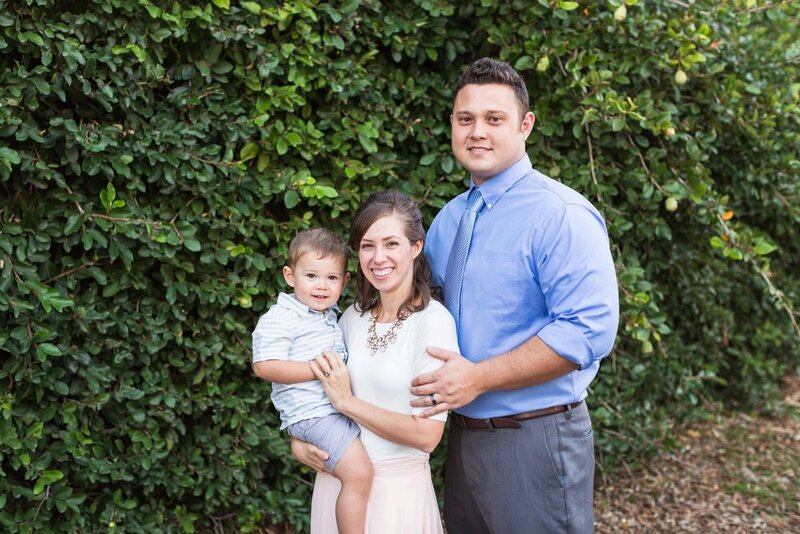 David and Emily's story & relationship is full of grace, joy, and love. So it didn't surprise me in the least when their wedding day was just as meaningful. Their chapel ceremony at Hyde Park United Methodist and backyard reception at their now home was perfect for them, but I have to say their first look was one of my favorite moments from the day. Time slowed down, and they were able to get some time to themselves to soak in the fact that it was their wedding day. Emily couldn't have looked more radiant. David has this way of making her laugh that is so contagious. Chase and I loved hanging with such a fun wedding party throughout the day. Here is to the new Mr. and Mrs. Read. May God bless your marriage & new life together. Wishing you both all the happiness in the world. Thank you for entrusting me to photograph your wedding day. 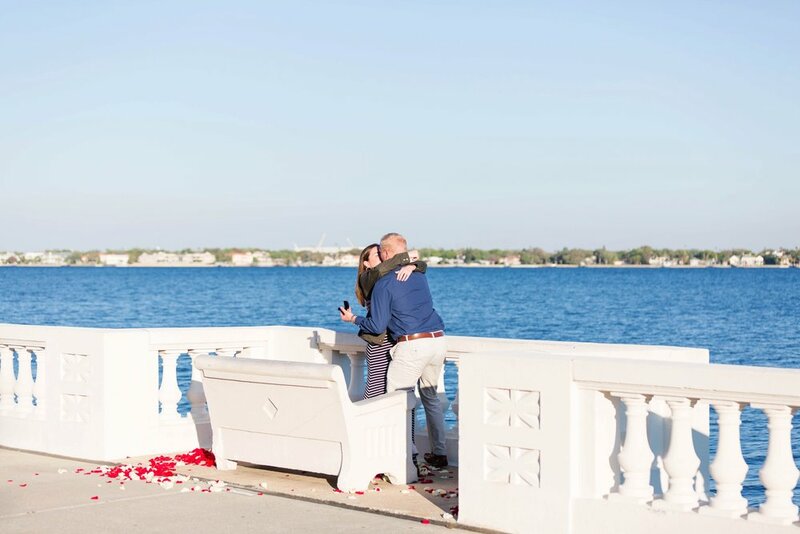 Marshall wanted to propose on Bayshore Blvd, on the same exact bench that Hillary and he had shared their first kiss. 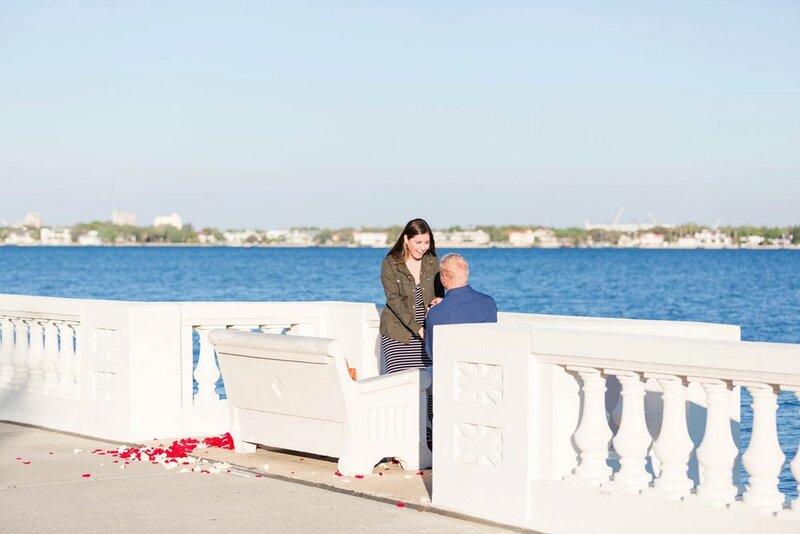 30 minutes before they arrived, Chase and I went to scope out the spot and make sure no one was sitting on the bench, because Bayshore is a popular location. 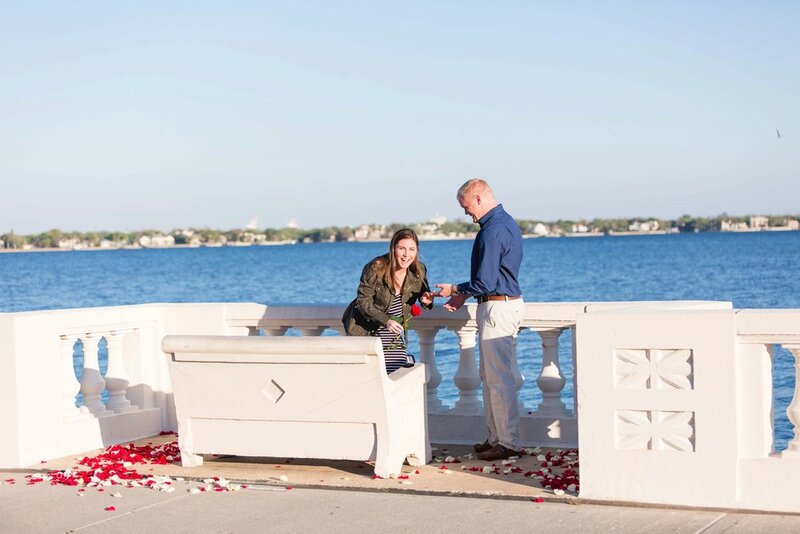 So we brought the rose petals to scatter at his request and we were trying to figure out how we were going to pull this off so Hillary wouldn't see us. Thank goodness for zoom lenses and a sweet husband that let me shoot over his shoulder so that we wouldn't be seen! 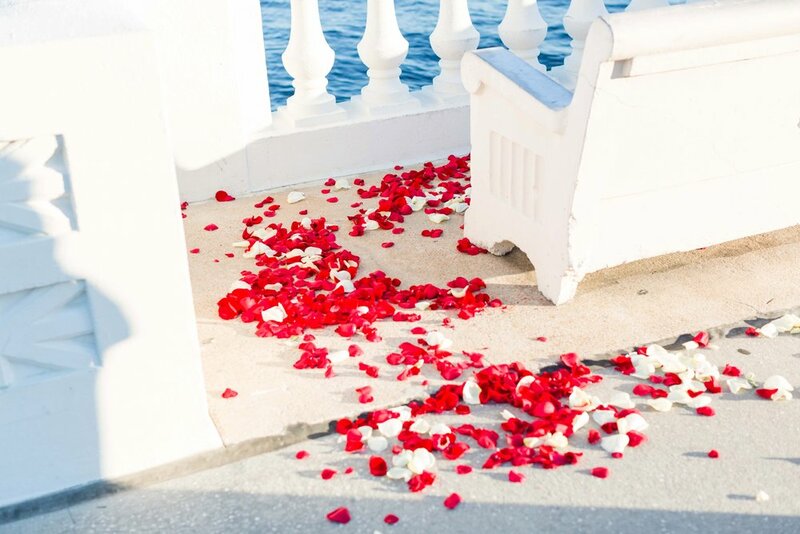 When Chase got the text from Marshall that they had just parked we quickly through the rose petals & started walking the opposite direction from where they were coming from! HIllary was so surprise and it was just the happiest moment!! 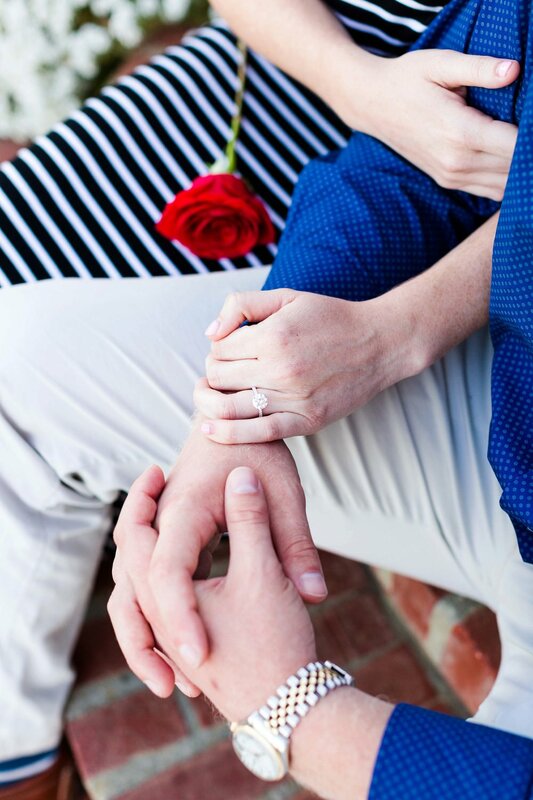 Also, her ring is GORGEOUS! Here are a few of my favorite images. We are so happy for y'all!! Now booking joyful, in-love couples fall 2017 & spring 2018! Contact me for more info here. Emily and David are both accountants that work for the same firm and just so happened to also work on the same floor. They knew of each other but had never met, until one day they got introduced and then went on a date and the rest is history! I guess you could say there story is one for the books literally and figuratively ;) David made Emily laugh the entire night we were together. I just loved how easy their love is and it is so clear that they compliment the best parts of each other's personalities. 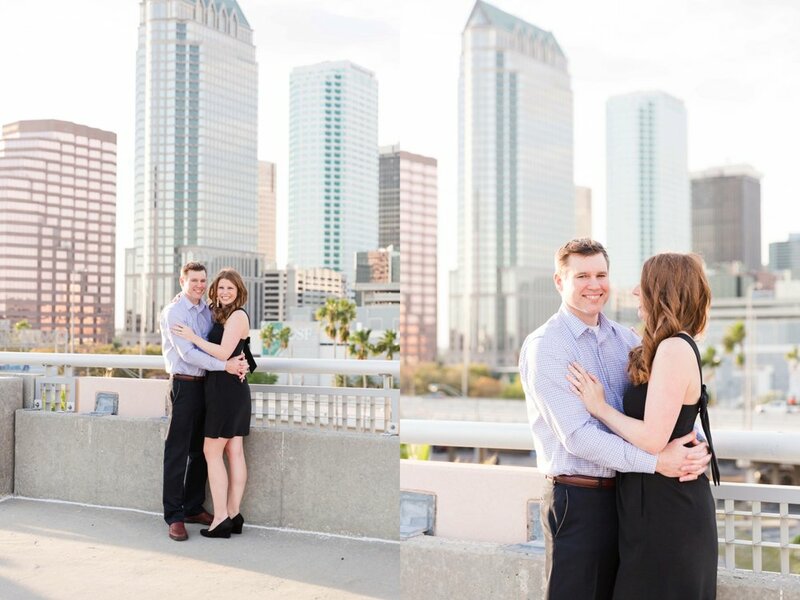 I cannot wait for their wedding day in May :) We started the session at the beautiful Le Meridian hotel in downtown Tampa and ended at the Davis Island Yacht Club where Emily grew up sailing with her family. Such a perfect night and here are some of my favorite images below!! Tell me about yourself: :) What are you passionate about? 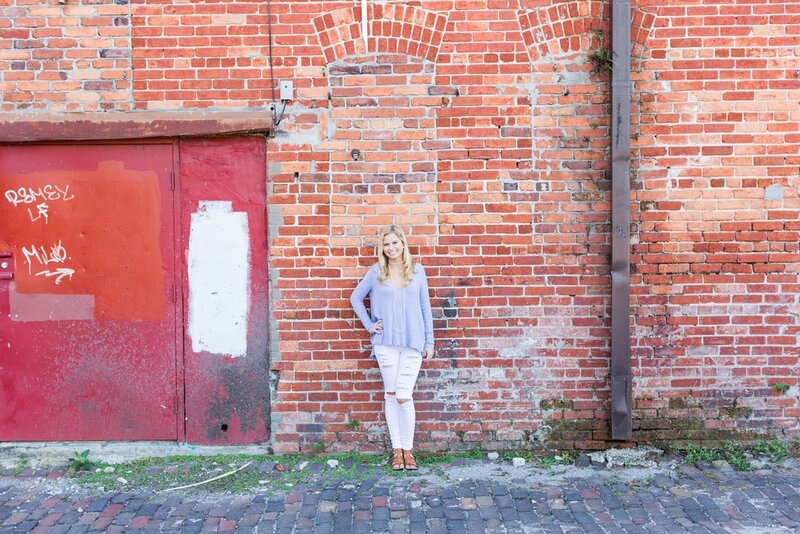 What are you most excited for about senior year? : Hi, I'm Sydney! While most people find their passion in sports or scrapbooking, I find my passion in something a little different... people. I love any opportunity I have to work with, be around, or help people. I am an extreme extrovert and I need this interaction to thrive and work to the best of my ability. I volunteer a lot and am even the President of my service club because I find genuine joy in helping others. While senior year is a bit nerve wracking, trying to apply to college and seeing my childhood come to an end, I'm most excited to just really take in my last year. I have heard from every previous senior that the year goes by so quickly you don't even realize it and I just need to let myself take it in. I'm excited to see where the last four years of hard work places me and where it places all my friends. I'm excited for wherever this year brings me because I know a lot is going to happen very quickly. What activities are you involved in at school? outside of school? : I'm involved in many things at Plant, but my two priorities are I am Coverage Editor of Yearbook and President of Anchor Service Club. I love being involved in both of these activities because I love interacting with the people in them. 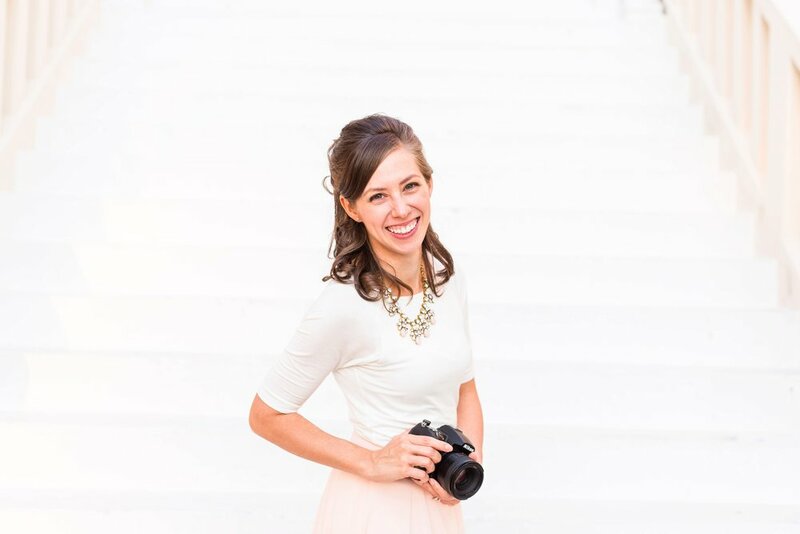 Whether it be at a service club project or a yearbook event, I love to immerse myself into these environments because of the constant interaction with others. I am a junior ambassador for the Children's Cancer Center in which I help advertise for their events around my school. I spend time every month volunteering there and playing with the kids. The fact that I am able to help bring a smile to their faces during a very difficult time for them truly makes me happy. How would your best friend describe you? : I believe my best friends would describe me as hardworking and compassionate. I am always trying to be one step ahead of the game and put my 100% effort into everything I do and my friends make fun of me for it. I'm constantly hearing from them "Sydney chill out" because I never stop going. I have a strong intrinsic motivation that keeps me always doing something and most of my friends don't understand how. Even though I am always focused on the future and how I can work to make it better, I also love to spend time with my friends and help them out. I'm always there for them to listen to their problems and give the best advice I can give and I've gotten compliments from them about how easy I am to talk to (which made me pretty happy). When it comes to my friends I always prioritize being there for them when they need me because I believe life would be pointless without these relationships to help you keep going. 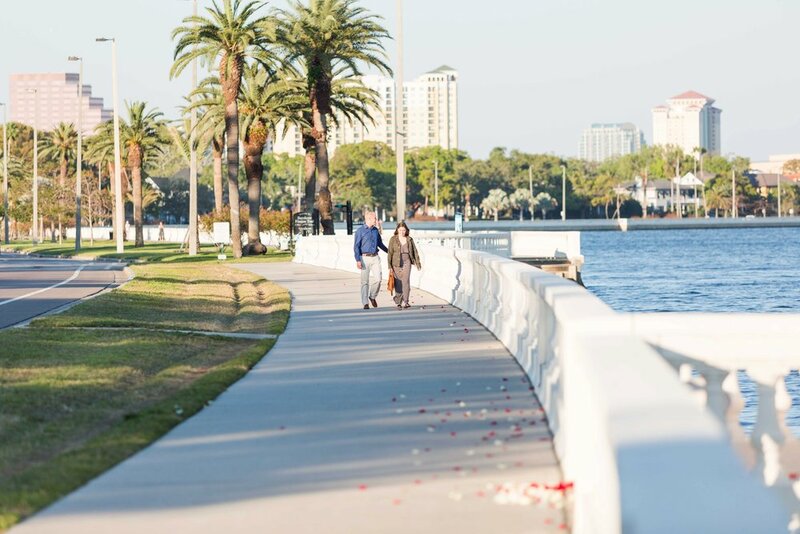 It was 75 degrees and sunny in Clearwater, Florida and we had been looking forward to Jordan and Drew's wedding day ever since their engagement session. 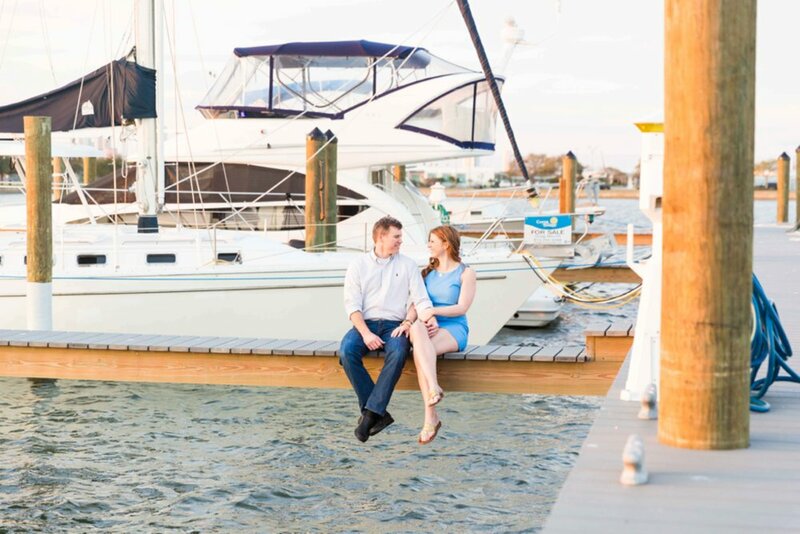 If you would like to see their romantic, beach engagement session click here. We started the day at the Holiday Hampton Inn for getting ready pictures, family portraits, and the sweetest first look ever. Then moved into the ceremony and reception on the Starlite Majesty Dinner Yacht. Surrounded by family and friends, Jordan and Drew shared personal, heartfelt vows followed into dancing the night away! What I love most about Jordan and Drew's relationship is how real they are and how much they equally adore each other. 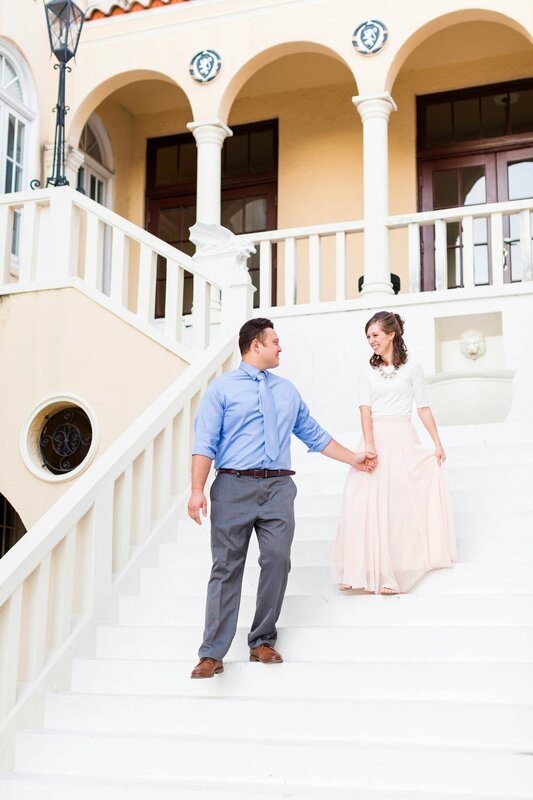 Their wedding day was a perfect picture of their love and we were so honored to capture it! Chase and I had never been on a dinner cruise before and that was really fun to experience as well :) Here are a few of my favorite images from there incredible day. January 21st, 2017 was such a special day. It was the day Ben and Anna Marie promised each other forever in Rock Hill, SC at the church she grew up in. 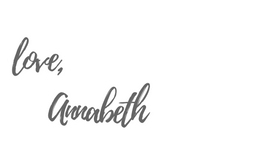 With all of their friends and family around to witness and celebrate their love for each other, they made a covenant to each other made before God. This wedding was so special to Chase and I because we knew both Anna Marie and Ben from Clemson. What I love about their story though is that Ben and Anna were just friends throughout college. 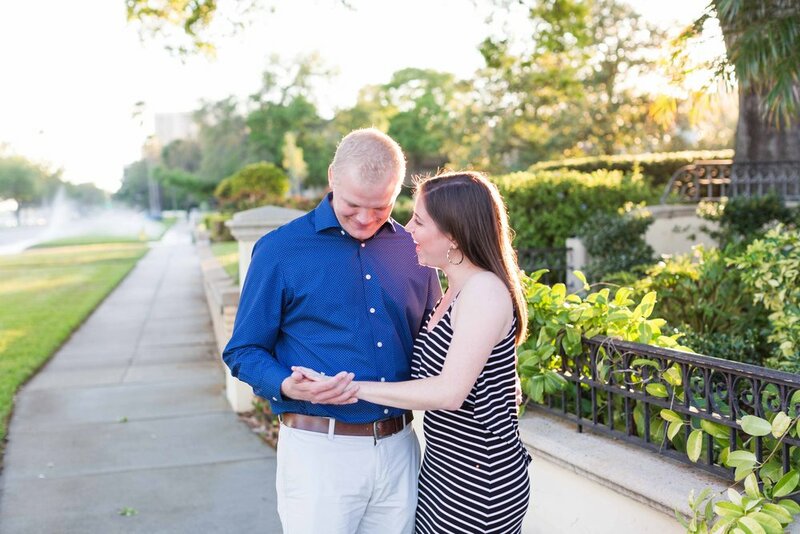 They both moved to Charleston after graduation, and pretty soon after that's when Ben asked her out on their first date. 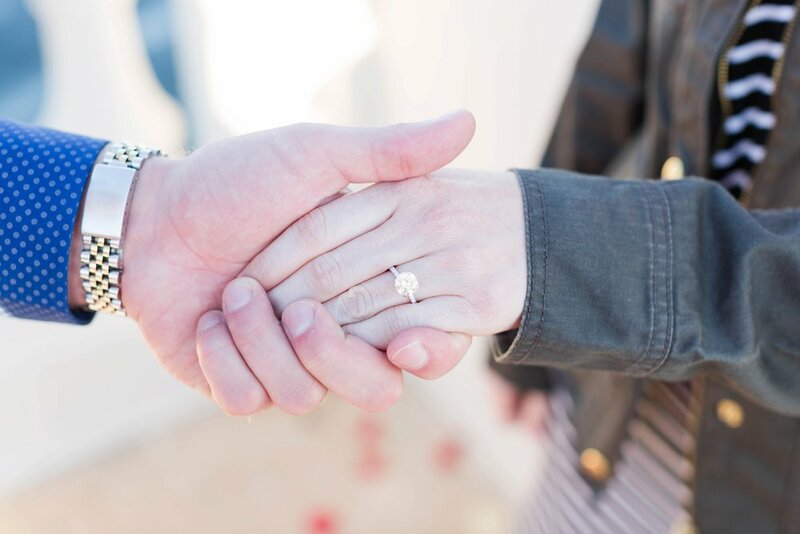 After dating for about a year after, Ben proposed in the sweetest way and Anna said YES! 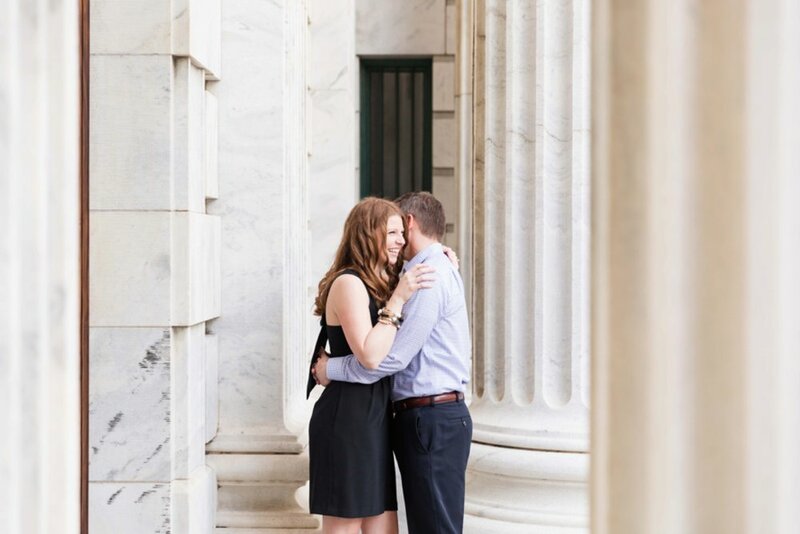 It was so fun to watch this relationship grow from a far :) To see their engagement session from downtown Charleston click here.